When you arrive at this custom brick beauty you wi - When you arrive at this custom brick beauty you will see that quality abounds. Single level 4 bedroom home plus FROG sits on a gorgeous lot with trees in back. Morning light streams into the foyer & dining room, & the grand pillars & vaulted ceilings accentuate the open floorplan. This special home features 4 bdrms & 3 full baths on the main floor, & a FROG as a 5th bedroom upstairs. 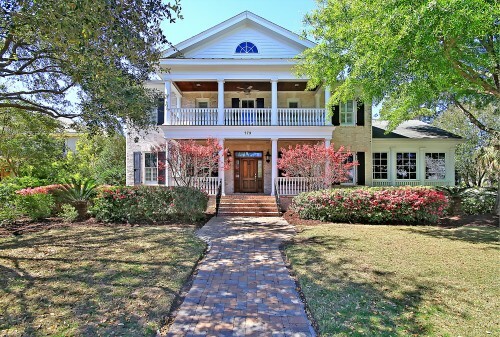 It is truly a gem, & is a 'one of a kind' floorplan in the neighborhood. Updated kitchen with breakfast area has gorgeous granite counters, new appliances, center island, & opens to a screened porch overlooking the patio, yard, & trees. Formal dining room is large enough to host those special gatherings. Large owners suite - the bath includes a garden tub, separate shower, dual sinks, natural light. New roof 2017. 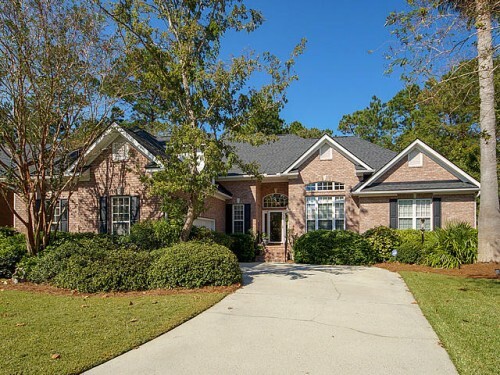 Olde Park Brick Beauty - Step into this elegant brick home located in the exclusive Olde Park neighborhood, just minutes from downtown Charleston and Sullivan's Island/IOP beaches. This home showcases high end upgrades such as a chef's gourmet kitchen (remodeled in 2016) and an open concept floorplan that is ideal for entertaining. There are dual masters, with the downstairs master suite featuring its own separate sitting room with a fireplace and classic stone mantle. Step into the backyard living space from the screen porch, out to a gorgeous mineral salt pool, open cabana with copper roof and wood burning fireplace, along with a deluxe island grilling/cooking area. A separate staircase leads to the poolside FROG with a living area, bedroom and full bath, and which is also accessible from the main house. This is luxurious living at its finest. *5 bedrooms, 5.5 baths *Dual master suites - master suite downstairs with a separate sitting room; master suite upstairs opens to upstairs front porch *Remodeled open concept kitchen with Wolf cooktop, double oven, warming oven, Suz-zero and more *Formal dining room with coffered ceilings *Remodeled great room with coffered ceilings leads to screen porch which opens to a gorgeous pool, cabana with fireplace and outdoor kitchen *FROG with bedroom, full bath, living area. Also accessible by separate entrance *California Closets *3rd garage bay with indoor/outdoor carpet is converted to temperature controlled weight room/gym/storage area, and is easily converted back to a 3rd bay.